Data from the Customs Statistics and data Center (CNIS) showed that Algeria’s trade deficit has increased with importation and exportation decreasing simultaneously. The report highlighted that the deficit gap has widened from $13,76 billion in 2015 to $15,80 billion in the first 10 months of this year. Algerian officials have not commented on the situation which further obliges the authorities to dip into the foreign exchange reserves of the country to finance the trade deficit to uphold its welfare subsidy policies. Exportation slipped from $29,7 billion last year to $22,74 billion. The 23,44% drop is linked to the drastic fall of hydrocarbon prices in the global market with a barrel of oil nose-diving from $115 to around $45 within two years. 94% of the country’s exportation are hydrocarbons and most of it is gas. The low prices have therefore affected the economy and obliged the government to embark on a cautious implementation of austerity measures. Authorities are trying to revive the country’s aging oil and gas infrastructures to boost production as well as tap into unexploited reserves in the coming years. 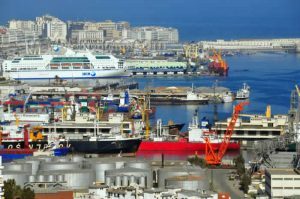 Most of Algeria’s exports are headed to Italy which accounted for $4.04 billion of the $22.74 billion since the beginning of the year to October. According to the data from CNIS, Algeria’s importation felled from $43,46 billion last year to $38,54 billion. Amid the 11,34% decline, China continues to be the country’s main supplier for the fourth consecutive year and its dominance has increased by around 2% although figures have dropped from $8.22 billion in 2015 to $6.86 billion. 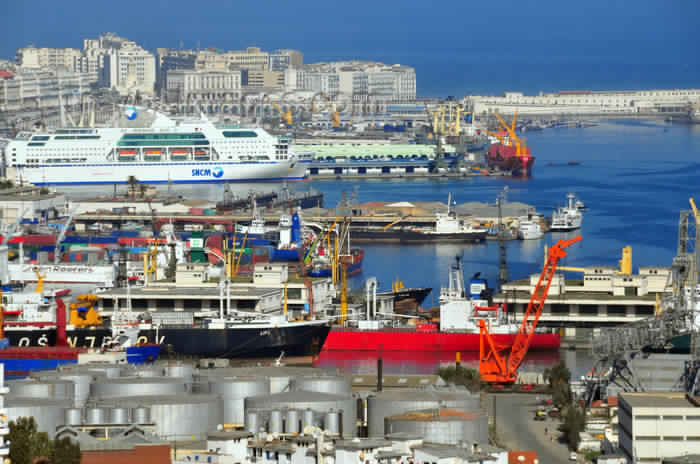 Algiers renewed its efforts to reduce its structural trade deficit following the fall of hydrocarbon prices by freezing investment in certain sectors and restricting importation of certain goods and products in order to boost domestic production. Authorities have been using the foreign reserves garnered during the hay days of oil and gas prices to limit the impact of the current economic crises while promoting the diversification of the economy away from hydrocarbons. Written by: Jaber Ali on November 21, 2016. Posted by Jaber Ali on Nov 21 2016. Filed under Finance, Headlines, World News. You can follow any responses to this entry through the RSS 2.0. Both comments and pings are currently closed.